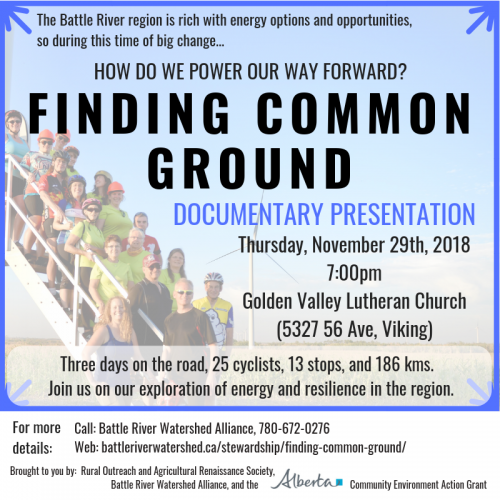 Join us for this screening of the BRWA’s “Finding Common Ground” documentary. 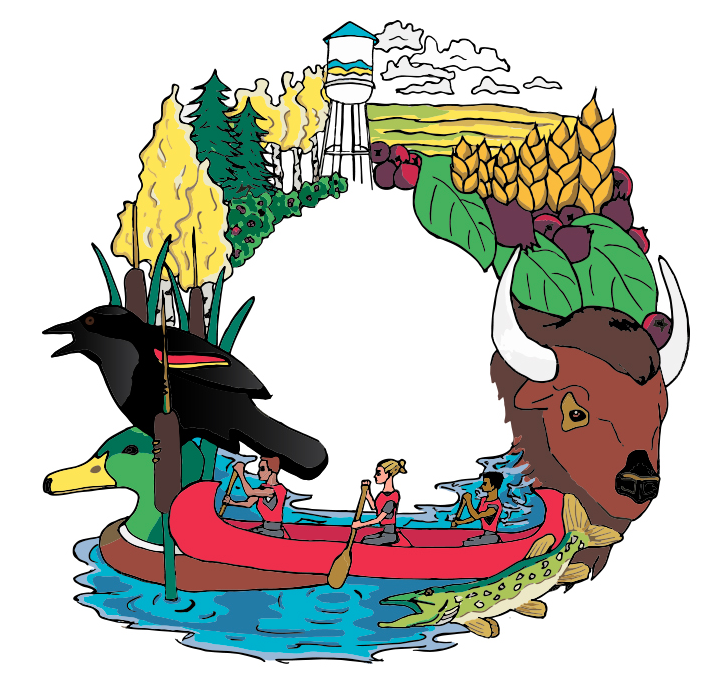 The documentary tells the story of a 2017 bike tour that explored energy opportunities in the Battle River watershed of Alberta. The event starts at 7:00pm, and will be done by 8:30pm, which includes time for discussion and snacks.